WYATT, Dorothy Opal Lewis "Mema", age 102, of Mechanicsville, passed away peacefully on Saturday May 26, 2018. She was a devoted wife, mother, grandmother, great grandmother, and great great-grandmother. She was born to William Fletcher Lewis and Ella Cleveland Bishop Lewis in Richmond on June 24, 1915. Dorothy was preceded in death by her husband Clarence A. Wyatt, two sons, Granville L. “Bobby” Wyatt Sr. and Warren W. “Bubba” Wyatt Sr., grandson, Danny Ray Wyatt Sr., brother William C. Lewis Sr., and sister Thelma L. Lavender. She is survived by a sister Gaynelle L. Mallard of Stafford, daughter-in-law Barbara R. Wyatt, five grandchildren, Granville “Bobby” Wyatt Jr. (Cynthia), Warren Wyatt Jr. (Kim), Cyndi Wyatt Blake, Michael Wyatt (Michelle), , Scott Wyatt (Terri), thirteen great grandchildren, Clint, Erik, Emily, Colt, Shelbie, Danny Ray Jr., Brandon, Blake, Clay, Grayson, Wren, Leanna, and Mallory, twelve great great-grandchildren, and many nieces and nephews. 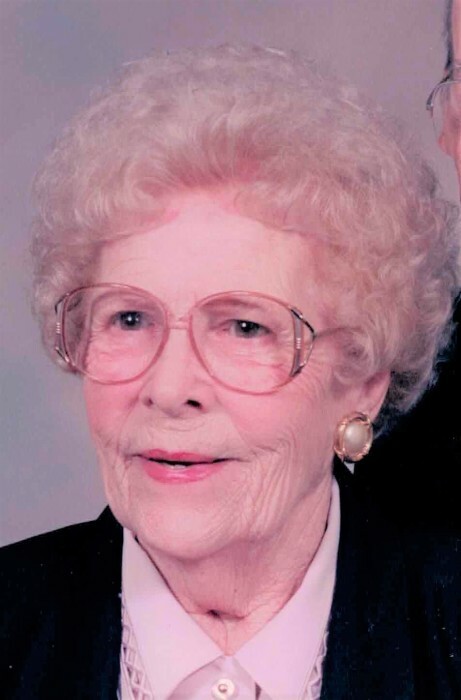 Dorothy was a devoted member of Black Creek Baptist Church in Mechanicsville. The family would like to thank the staff at Autumn Care for the care provided the last five years of Dorothy’s life. The family will receive friends on Wednesday May 30 from 10 a.m. to 12 p.m., with a funeral service to follow at 12 p.m. at Black Creek Baptist Church, 6289 McClellan Rd. Mechanicsville Va. Graveside services will be 3pm at Signal Hill Memorial Park. In lieu of flowers, memorial contributions may be made to Black Creek Baptist, 6289 McClellan Rd. Mechanicsville VA 23111.